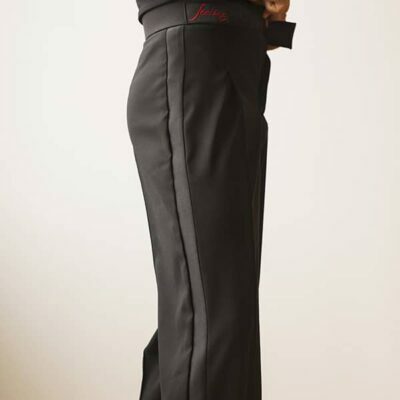 Latin pants with a narrow leg and one pleat and pockets. Satin waist and side bands. *Item available on custom order only: 2-weeks delivery.